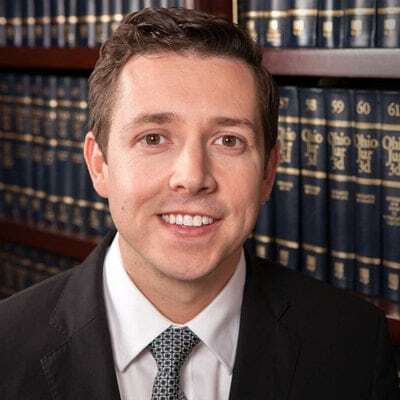 Travis Jones helps people who find themselves in difficult circumstances as a result of personal injuries, motor vehicle crashes, and other civil disputes. One day, out of the blue, Travis received a phone call from a young man who, as a child, had suffered a dog attack that left his face and hands severely disfigured. For ten years, he endured the scars—both physical and emotional—because his mother did not pursue legal charges against the dog owner after the attack. Now, as an adult in charge of his own affairs, he called Travis, searching for any type of legal action he could take that might pay for the plastic surgery he needed but couldn’t afford. From the instant Travis heard the man’s story, he had an overwhelming desire to help him and drove to his home over an hour away to meet with him in person. Within seven months after that initial call, Travis had settled the claim with the dog owner’s insurance company. The young man, who had suffered too long, finally received enough money to have the surgery—to become whole again—and to get a place of his own and enroll in college. The dog bite case and other such personal injustices is why Travis practices law. He says the daily opportunity to help people navigate the complexities of life’s twists and turns motivates him, deeply. Learning about his clients’ stories and helping them write the next chapter is a privilege, he says, and something that he never takes lightly. At the outset, his clients’ concerns are often issues related to their injuries, such as medical bills, car damages, insurance coverages, lost wages, and such. But by the end of an initial meeting, he offers his clients an honest and practical plan to set aside those concerns so that they can focus on one thing—their recovery. Throughout their client’s recovery, Travis and his team are working behind the scenes learning more about their injuries, reviewing medical records and images, speaking with treating physicians and monitoring their progress. The legal team also addresses unpaid medical bills and works with insurance companies to ensure those bills are paid to keep clients out of collections and the court system. Once medical treatment has ended and maximum recovery is reached, Travis works with the victim and the at-fault insurance company on a fair settlement agreement. If such agreement can’t be reached, Travis is ready and able to file a lawsuit, try the case before a jury in court, and fight for his client’s rights. Either way—through settlement or trial—Travis works hard to achieve the best outcome. The reward, he says, is the lifelong relationships he establishes with them. Travis is proud to be a member of the Graham & Graham family of lawyers, where he stands among his colleagues on a bedrock-foundation of nearly a century of caring and effective legal representation in the Zanesville, Muskingum County, and greater southeastern Ohio communities.